Dan Absalonson | Author of SciFi & Fantasy: I've Been Away, in Disneyland! I haven't posted in quite a while. I didn't really get on any social media last week either. Why the silence? My family and I went with my in-laws to Disneyland! It was really fun. We had five days at the Disney parks. We got hopper passes so we were able to go to both Disneyland and Disney's California Adventures. One of the coolest rides was the new Radiator Springs Racers in Cars Land in California Adventures. 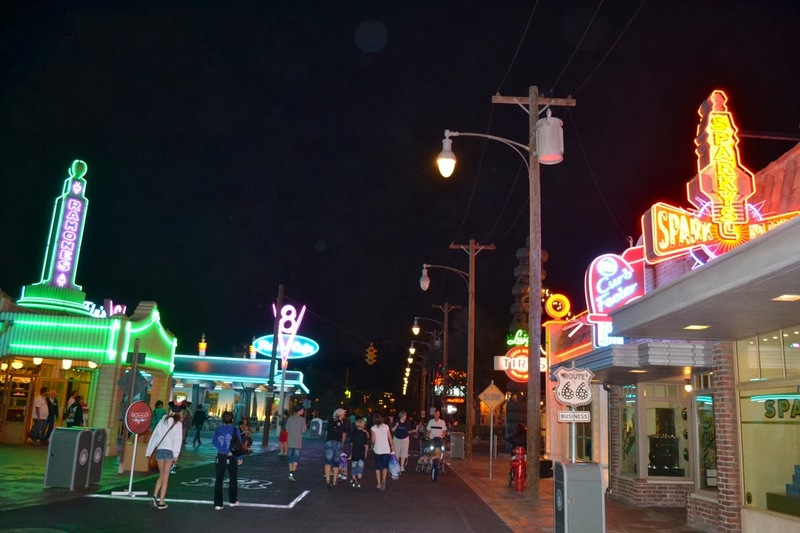 You get to ride through Radiator Springs, see the characters talk to you, and race a car full of other visitors to the park. We were a little bummed out our 2 and 3 year olds weren't tall enough to go on the ride but now we know why. Those six passenger cars go really fast and bank some hard turns. It's more of a thrill ride than we were expecting which was awesome and made for a really fun ride. Cars Land itself was awesome too. It's like walking into the movie. You get to walk down the road that Lightning McQueen fixes in the first Cars movie. Everything is there including all the shops of the different characters. Another awesome thing in California Adventures was the Disney's Aladdin - A Musical Spectacular. We went because the kids like the movie, but it was actually really entertaining and surprisingly funny. The actor playing the Genie was cracking funny jokes time and time again and you even got to see the villain Jafar turn into a hugh snake and the famous flying carpet scene. Two actors sing as they are flown overhead on a carpet swinging from wires. It was impressive. 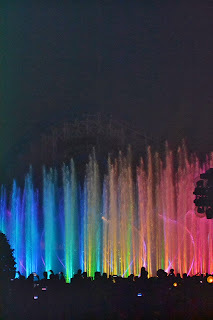 Also, there's a water and light show called World of Color. 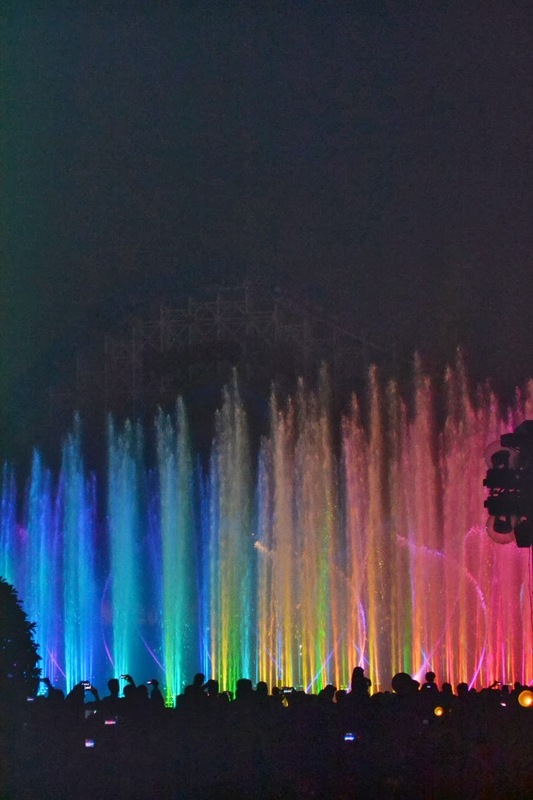 This was a pretty amazing show at half an hour with smoke, fire, and fountains of water with color and scenes from favorite Disney and Pixar movies playing out on them at huge sizes. It was a sight to see. 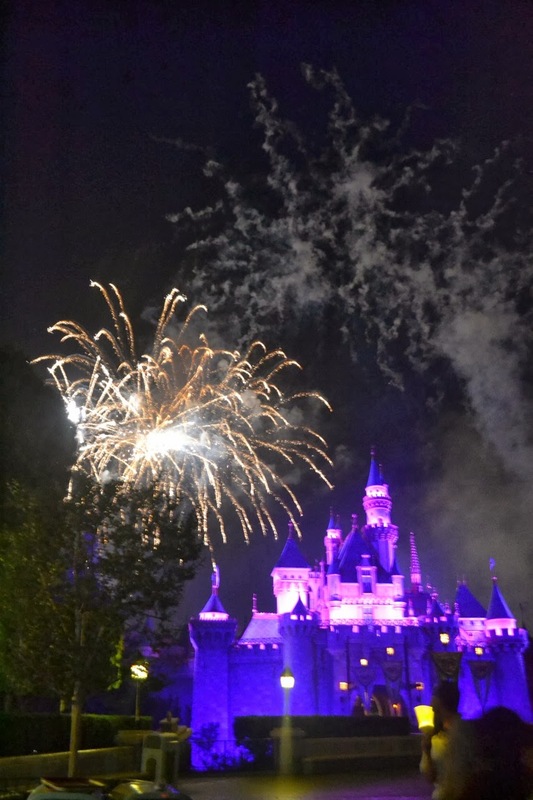 So was the fireworks show in Disneyland as you can see in the first image in this post. But the best part of all of this was being there with my family. It proved difficult at times standing in line with a 5, 3, & 2 year old but many special memories were made. Leading up to our trip we watched a ton of Disney movies and so going through Fantasyland in Disneyland was fun too, were you can go on rides like Peter Pan, Alice in Wonderland, Pinocchio and ride through classic Disney films. I'm sure many of you have been to Disneyland so I wont keep listing all the fun rides and shows we got to experience as a family, but it was really fun. We're all exhausted now but glad to be back home. Now I need to get back to writing, blogging, and podcasting. My Workflowy is full of tasks for these things. I have another flash fiction story to podcast, a novel to finish, and a novella to revise once I get some notes back from a few alpha readers. I'm way off track now for my word count on finishing my novel before NaNoWriMo starts, but I'm hoping for some epic sprints where I splash thousands of words on the screen and get back on track. It would be so awesome to start a new novel right on the heels of finishing one. Well, that's what I've been up to. Time to get back in the saddle. What projects are you working on? Thanks for stopping by!